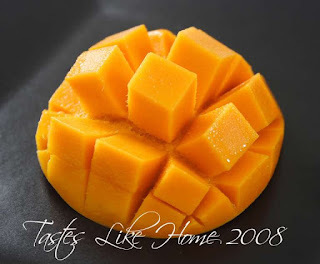 You never know the benefits attached to the consumption of a fruit as yummy as a Mango until you bite into its succulent skin and enjoy the luscious taste that accompanies every bite. Here are the amazing benefits to enjoy when you include Mangoes in your diet regularly. Mango is a fruit highly rich in riboflavin and vitamins as vitamin B6, A ,C,E and K. It contains mineral properties as Magnesium,potassium and copper. It also has vitamins such as Antioxidants, which enhances skin glow and aids digestion. It contains several enzymes and fibre that helps to soothe stomach inadequacies as constipation, pile and several degenerative diseases as Anaemia; due to the amount of iron present in it. Mangoes prevents premature aging, cures acne, lightens up your skin colour to give you the perfect skin glow you desire when you make a paste and apply it to your skin. It prevents nausea, cough, bleeding gums and other health conditions. It is considered a symbol of life, particularly in India and used to perform ritual functions. Mangoes supplies Pectin; a soluble dietary fibre, which helps to fight against high Cholesterol level in the body and it lowers the risk of cancer as prostate cancer, breast cancer and leukemia. Mango contains beta-carotene which helps to enhance the immune system and fight away bacteria and toxin, it also controls high blood pressure. Scientists have made a recent discovery that Mango stands the chance of being a natural remedy for Diabetes and it improves eye health. Never forget that a mango a day keeps you vibrant and healthy;it helps promote a healthy brain.